1616 South at Platt Park is a brand new condo development in Denver's South Broadway neighborhood. 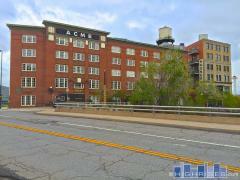 There are 40 luxury condos at 1616 South and the building features ground level retail space and garage parking. Contact West + Main Today! Have any comments or questions about 1616 South at Platt Park? Ask your question and/or share your thoughts about this Building.